The United States Supreme Court reversed a judgment of the Court of Appeals for the District of Columbia Circuit in Class v. United States. 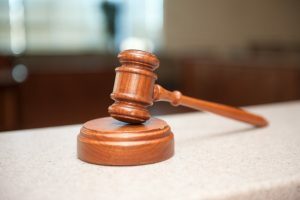 The U.S. Supreme Court specifically ruled that in pleading guilty, the defendant, Class, did not waive his right to a direct appeal on the ground that the statute of conviction was unconstitutional. Although winning an appeal after a conviction tends to be an uphill battle, having an attorney who will stick with the case is of the utmost importance. If you or a loved one has a case that is ripe for appeal, you will need a skilled attorney to fight to overturn your conviction. Attorney Daniel Cappetta is dedicated to his clients, has filed appeals on numerous grounds, and has obtained the right results for his clients. Call him for a consultation.